This one just kind of fell into my lap today. One of the members said something to the effect of: If it wasn’t for Anna Fujishiro (of CY8ER) I wouldn’t be an idol. Let’s have a peek at this group called SKIRMISH. Here is that tweet I mentioned. First off, they seem to be a standard idol-rock unit made up of five girls. The production all around seems to be pretty good for a new unit though. I wonder if this a secret project of somebody’s? We will probably never find out. Anyway, as is standard I will just give you links to the members Twitter accounts and a photo of each. Plus this time there is an MV as well, down at the bottom. 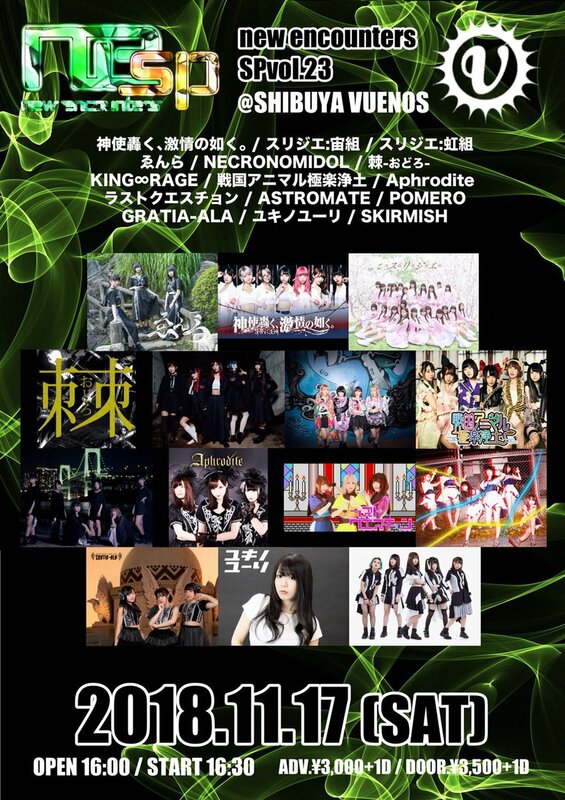 It looks like they will debut on November 17th at 渋谷VUENOS. Not a bad lineup for your first live. I am sure a few of you can pick out some familiar faces. Oh, here is that MV.